Just the thought of sitting in that chair makes me cold. Great shot! Me too. It could be pretty inviting in July when it’s hot and humid! 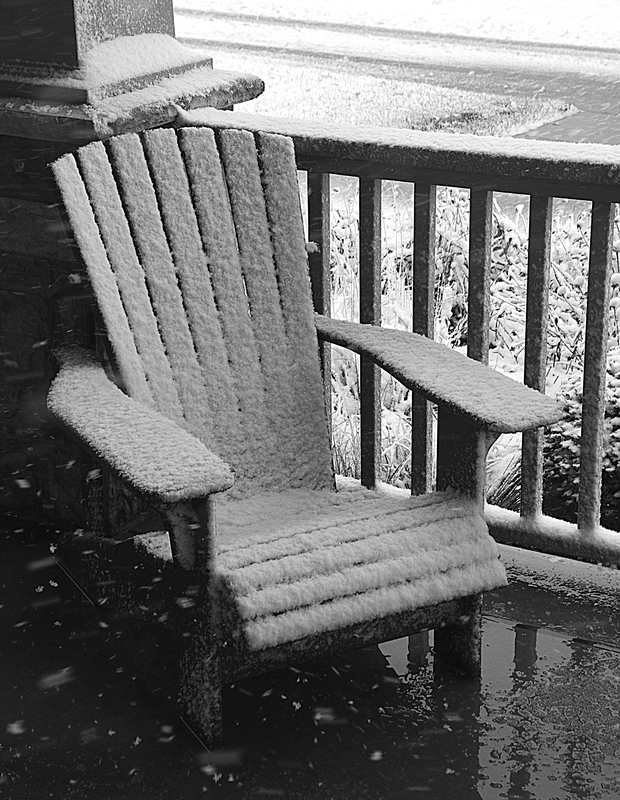 I love the image… a chair patiently waiting for spring, or maybe even just a sunny day. Nope…no takers on the invite. Maybe in August. Glad you enjoyed it. Thanks for commenting! I’d need a set of thermal waders I reckon to face that, lol. Thanks, but I’ll stand. Good post!